Carchex is one of the leading providers of car warranties out there. The Maryland auto warranty and insurance provider has been growing in exponentially since 1999. We give you the ins and outs of Carchex and why it has become the insurance of choice by so many people, probably includes your neighbor too. Carchex is also known for their exclusionary insurance contracts. Another great thing about the company is that you can view their sample service contract, with no attached obligations at all. What makes Carchex a tad more different than other is that contracts are exclusionary rather than inclusive. What does that mean? It means that if you get a Carchex insurance plan, it will cover everything except that is specifically EXCLUDED in the contract. Up front, you know what you are getting. There are five coverage levels in Carchex’s 18 contracts. 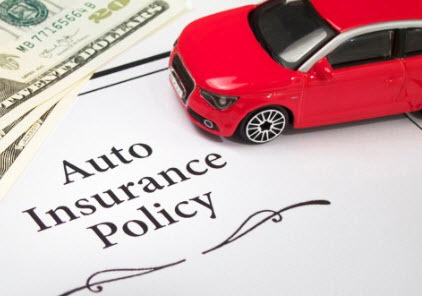 There you can choose which policy plan you want to choose to provide the best coverage for your vehicle. You can choose from their Titanium coverage’s five plans with each having six to seven year coverage terms. There are also Platinum, Gold, Silver, and Bronze plans to choose from, with the latter having the fewest coverage among them. Carchex is also well-known in the industry for its regularly inspection of your vehicle to see if it needs repairs, part replacements, or regular maintenance protocols, all of which are designed to ensure that your vehicle stays in the best shape possible. However, all repairs and automobile diagnoses can only be carried out by ASE-certified mechanics. In a tight budget? Well, that’s not a problem because Carchex helps you buy your own car with the help of its auto financing service. Running out of gas, getting a flat tire, or some other unexpected roadside emergency are all covered by Carchex thanks to its roadside assistance program. They’re just a call away. Carchex managed to survive and even thrive throughout its 15 years of operations thanks to its many strengths, one of which is their convenience factor. Carchex warranties can be used on any ASE-licensed repair hub in the country, which makes it easier for you to avail the benefits. And yes, they pay the bills in full. No more waiting time for reimbursements because the repairs or replacements are paid as soon as possible. Warranties are also transferable and come with additional benefits such as flat tires, lockouts, or if you run out of gas. Towing assistance and car rental services can also be availed. They also have refund or price match options which allow you to get a full refund within just 30 days. Their phone, live chat, and email services are also managed well by courteous staff. Unfortunately, Carchex’s processing fee is a bit too high. It can range from $50 to $100 depending on the payment plan length you’ve chosen. However, you don’t have to pay any fee if you pay the amount in full, which is a good thing. Also, there’s a lengthy waiting period when it comes to having the warranty take effect. It takes 30 days, and 1,000 miles before the warranty takes effect, which is surely a lot of time knowing that anything can happen within that time span. Oh, and yes, there’s no weekend service. The long waiting period is actually one of the biggest complaints about the insurance provider. However, careful drivers out there will probably give Carchex a hard second look because waiting is indeed a virtue when it comes to the benefits. One of the best things about Carchex is that it’s very easy to get a quote from them, especially if you want to get an extended warranty. They also provide you with detailed instructions on what to do to file a warranty claim. Aside from that, they also recommend certified mechanics along with their respective locations. Carchex has an active customer support system which operates 9 am to 9 pm from Monday to Friday and 10 am to 4 pm on Saturdays. Though they’re email, live chat, and phone support aren’t available every Sunday, they still make up to it by responding to queries and concerns fast. Generally speaking, Carchex is a great car insurance provider considering that it has many ideal plans to choose from and are at very good prices. Though there might be a few hiccups along the way such as the processing fees, waiting period, and weekdays-only service, their additional benefits, quoting process, and convenience factor are enough to have you choose this over the other brands.